PRI’s Executive Director, Alison Hannah, reports from a meeting in Thailand last week on the implementation of the Bangkok Rules in East Asia and the Pacific, where participants heard about a range of promising rehabilitative initiatives, as well as exchanging information and views on the many similar challenges women in conflict with the law face across the region. At the same time as PRI’s Policy Director was attending the discussions in Geneva of the Committee on the Elimination of Discrimination of Women (CEDAW) on access to justice, I was in Bangkok for the East Asia-Pacific Regional meeting on the implementation of the UN Rules for the Treatment of Women Prisoners and Non-custodial Measures for Women Offenders (the Bangkok Rules). The meeting was hosted by the Thailand Institute of Justice with the UNODC. It brought together participants from twelve countries of the region, mainly Prisons and Corrections staff, who presented reports on various aspects of the Rules, sharing information and highlighting examples of good practice. The purpose of the meeting was to report on the situation of women in the penal system in the region, identifying key challenges and gaps in implementing the rules and making recommendations for the future. While the CEDAW meeting gave little space to the issue of women deprived of their liberty, at the Bangkok meeting there was consensus on the difficulties women in this situation face and the need for special provisions to overcome them. Because women form a small minority of the prison population (usually 2-9%) their needs are often overlooked in a prison system designed for adult men. Time and again, speakers raised the same problems experienced by these women, regardless of which country. Women are more vulnerable while inside prison and their reintegration into society after release is hampered by the negative impact of imprisonment. The point was made early on that most women are imprisoned for non-violent offences. Where an offence of violence has been committed, it is often related to a long history of domestic violence – usually ignored if reported to the police. Yet if the woman ends up stabbing her partner in retaliation for this abuse, the background history leading up to the crime is often not taken into account. She is charged with murder and assessed as a high risk prisoner. Women are often imprisoned for drug offences but are rarely in charge of the drug dealing. They may be convicted of human trafficking offences, but are often victims of this themselves. In the UK, it is estimated that 50% of women prisoners have suffered domestic violence and 33% have suffered sexual abuse. Not surprisingly, more women prisoners than men suffer from mental illness. Because women are a small minority in the prison system, they are often kept in prisons far from their homes and families, making relationships difficult to maintain. This problem is exacerbated when children are left without their mother and the family may break up due to the loss of the main carer. Even if a mother is able to keep her baby with her in prison (which is commonly the case until the baby reaches the age of two or three), there will come a time when the child is taken away from the mother and handed over to the care of another relative or an institution. Either way, on release it is very hard for the mother to re-establish her relationship with the children. Many participants recognised the difficulty in maintaining family ties because of the distances involved and communication problems. This is especially the case for women serving prison sentences in a country which is not their own. Yet despite the many challenges, we also heard many examples of good practice. Rehabilitative activities sought to address the stigma and low esteem attaching to women prisoners, as well as training to improve their employment chances and parenting skills. Examples included yoga classes (in Thai prisons); swimming, sports, psychological and life skills classes, vocational training, paid employment and educational courses (including health and sexual health education). To help keep families together, in a number of countries, conjugal visits are permitted and open visiting facilities provide play space, books and toys for children, making visits a more positive experience for all the family. In some prisons, emails and phone calls are allowed. 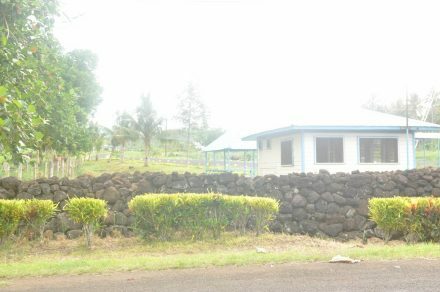 Weekend parole is permitted in Samoa, and under a new probation/parole scheme members of the community, such as a church minister, will help supervise the ex-prisoner and provide support. The Bangkok Rules supplement the Standard Minimum Rules for prisoners, and the two should be read together. They will be more easily enforceable if incorporated into domestic law, which was one recommendation from the meeting. Others stressed the importance of healthcare in prisons, which should be linked to that in the community. Treatment programmes for mental health and substance dependency are crucial for successful reintegration, together with good communication between the woman and her family. But the importance of finding appropriate alternatives to imprisonment was also stressed along with the need to raise public awareness and support for noon-custodial measures. Training for prisons and corrections staff was identified as a key need – which is very much in line with PRI’s own plans. An online training programme is being developed which will be freely available for any interested prison or corrections staff to use to familiarise themselves with the Bangkok Rules and ways to improve the position for women offenders. Read more about our work to promote the Bangkok Rules.